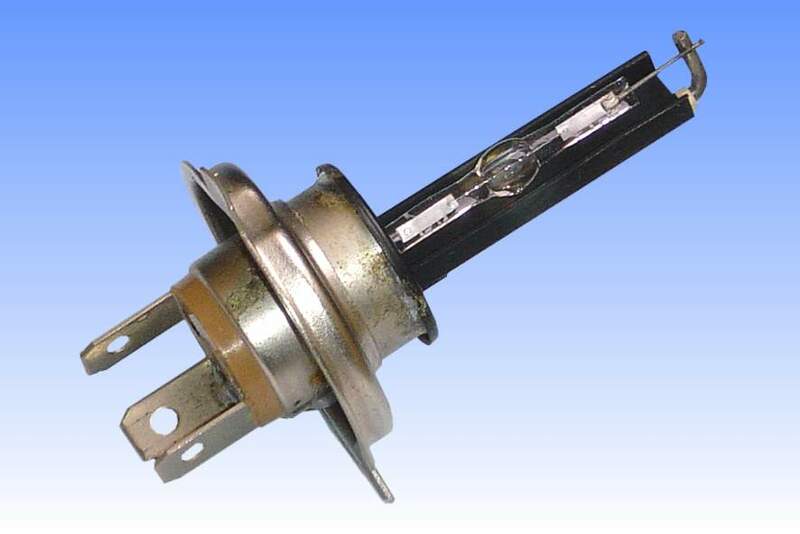 The VeDiLiS Vehicle Discharge Lighting System commenced in 1988 as a EUREKA funded European project to spearhead the extension of electric discharge lamps into automotive applications. The aims of the project were to deliver better road lighting for safer night-time driving, and won the support of automotive manufacturers because of the superior performance, considerably lower power requirement and the dramatically enhanced lamp lifetime which effectively matches the life of an average vehicle. The founding lamp manufacturers were Philips and Osram, joined shortly afterwards by Thorn. Despite Thorn's later entry it contributed many technological breakthroughs to the project, such as being first to dose and fill the arc tubes through one end, resulting in a tipless design with no exhaust tube. Hella, Lucas and Bosch also contributed. The lamp shown here is one of the earliest working prototypes created by Philips for road trials during the winter of 1990/91. It employs a primitive arc tube with shrink-seals and side tip-off, and squared-off arc chamber ends have been formed by collapsing the arc tube down over a heavy-walled bead of quartz between the electrode and the foil seal. The arc tube is mounted on an H4 halogen lamp base, and a black shield running underneath the arc tube blocks downward light. Just like the H4 filament shield, this assists in delivering the sharp cut-off that is required at the edge the dip beam. Despite the dramatic improvement in performance this lamp delivered, glare to oncoming traffic was identified as a major problem. It had to be redesigned to deliver a different beam pattern, and subsequent lamps employed special new bases.